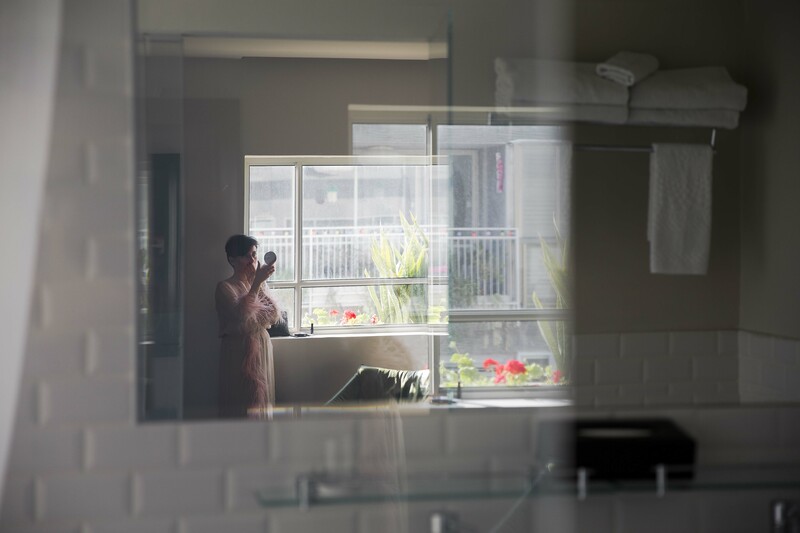 At 30 sq. 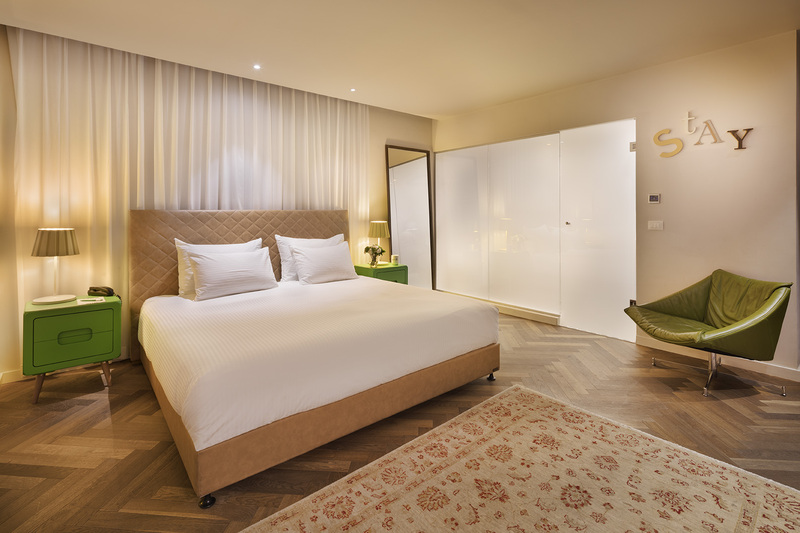 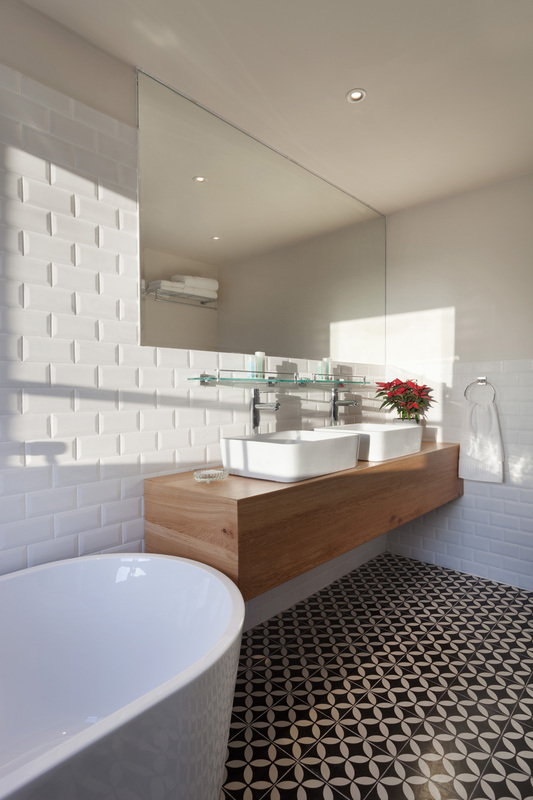 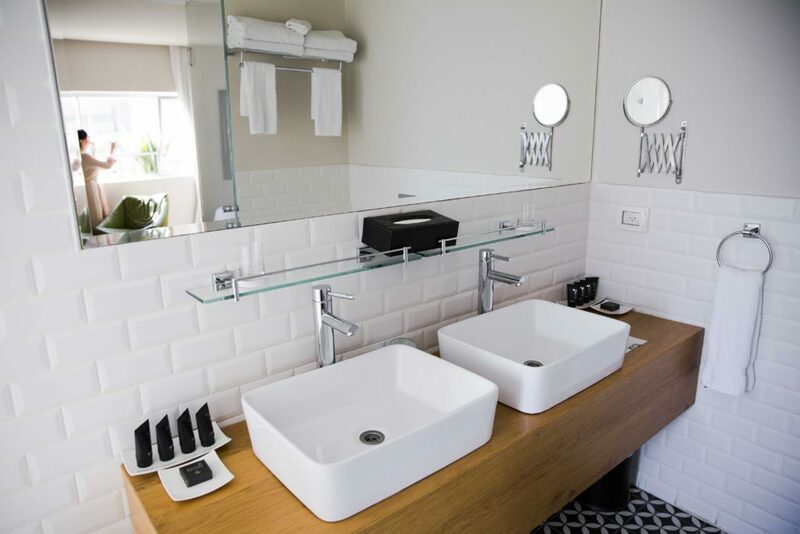 meters, the Shenkin Hotel Studio Rooms was designed with a pampering and relaxing getaway in mind. 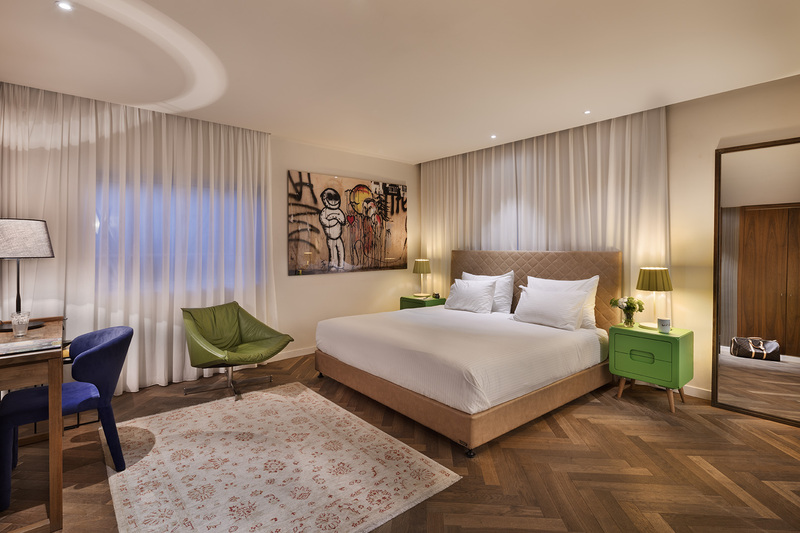 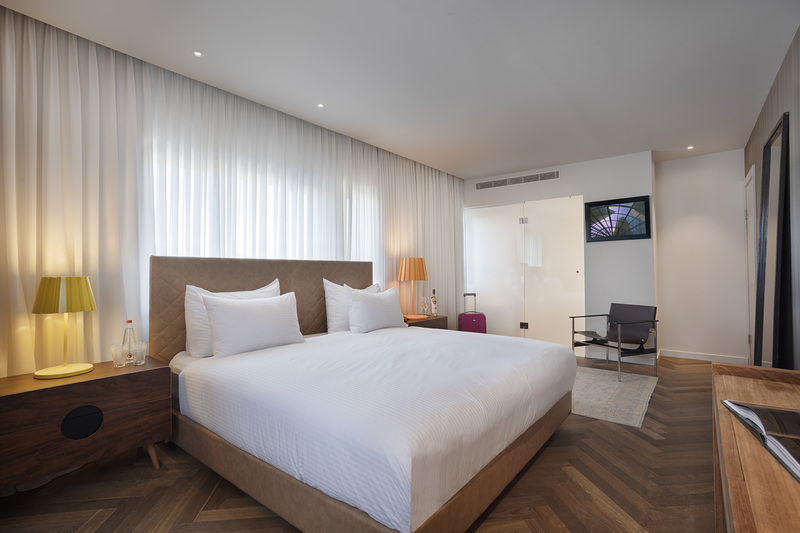 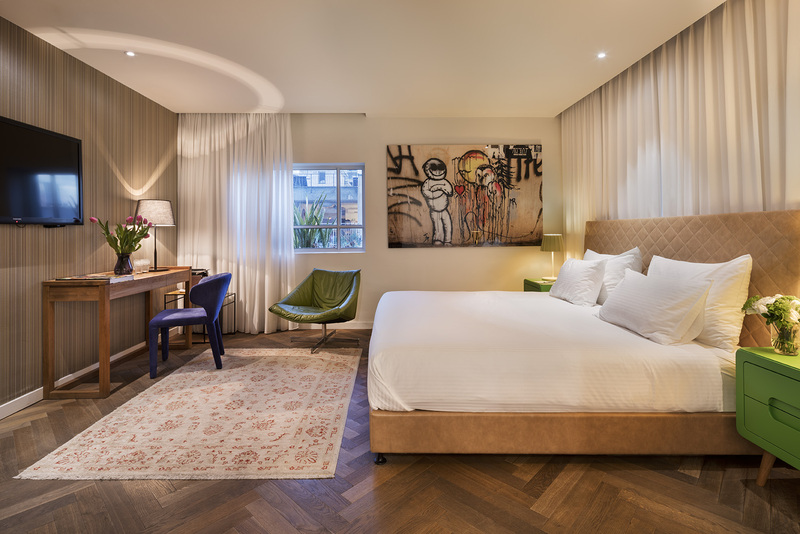 This meticulously-designed and stylishly-appointed room is especially ideal for a couple looking to indulge on an unforgettable trip to Tel Aviv. 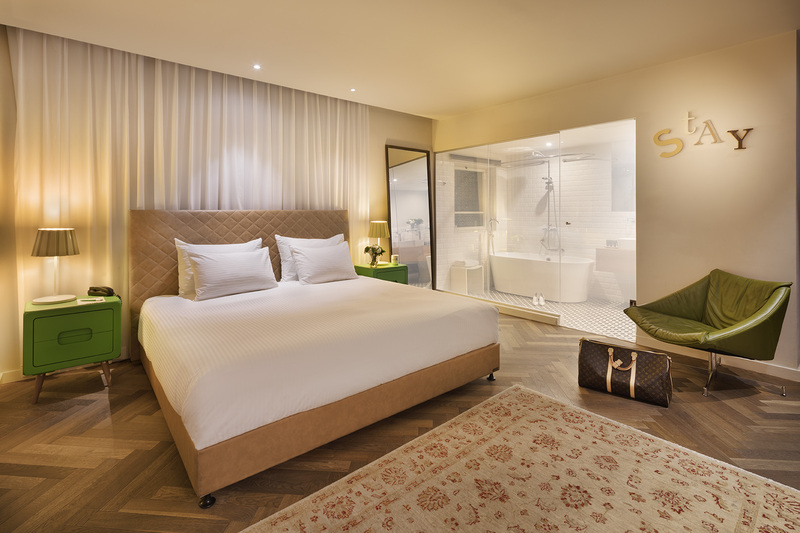 The Studio Room features a king size bed for a great night’s sleep, a full bathtub in addition to a rainforest shower for luxury no matter how you choose to bathe, a Nespresso coffee machine, and a widescreen TV for your viewing and relaxing pleasure. 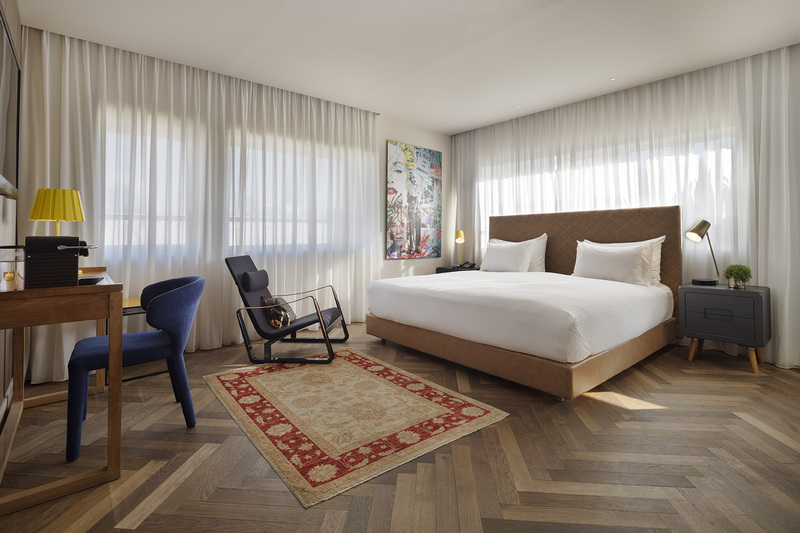 Our Studio Room is located on the top floor of the hotel, putting you just steps away from our gorgeous sundeck rooftop.